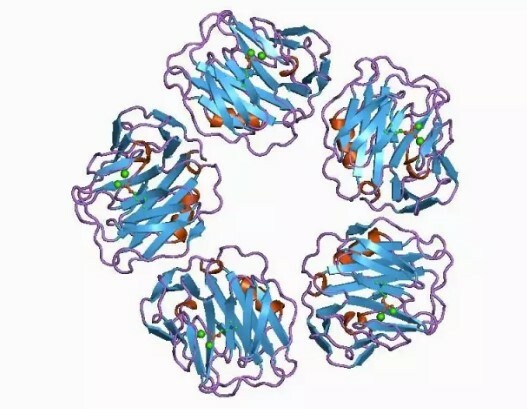 C-reactive protein (CRP) is an acute phase protein belonging to pentraxin family of proteins, whose levels increases 1000-fold or more in concentration in blood during the occurrence of an injury, inflammation or tissue death. It is an acute-phase protein of hepatic origin that increases following interleukin-6 secretion by macrophages and T cells. In hospital, we always been taught to C-reactive protein is “inflammation” synonymous in the blood test, especially in the case of cold. When the C-reactive protein increased, indicating that patients with inflammation. But is C-reactive protein only indicate to the issue? C-reactive protein is one of the most important and sensitive markers of human acute phase response. There are more clinical significance. Pregnancy, autoimmune arthritis, lupus, infections, and cancer can cause an especially high CRP. CRP is an important factor in determining the etiology of infection. The level of CRP can be significantly higher in bacterial infections. It can distinguish between bacteria and virus infections. A value higher than 100mg/L strongly suggests bacterial infections, whereas that below 10 mg/L indicates viral infection. CRP does not cross the placental barrier and therefore, will be useful in diagnosing infections in newborns. It has been shown that CRP is present in amniotic fluid and fetal urine, and the elevated levels are associated with adverse pregnancy outcome. A C-reactive protein test can help doctors determine your risk for heart disease or stroke. CRP is unlikely to contribute directly to cardiovascular disease as a pathogenic factor. Similar conclusions were drawn from recent Mendelian randomization studies. Using widely available high-sensitivity assays, CRP levels of 1, 1 to 3, and 3 mg/L have been classified as low, moderate, and high-risk groups for future cardiovascular events. Individuals with LDL cholesterol below 130 mg/dL and CRP levels of 3 mg/dL represent a high-risk group. CRP levels have been used to predict the risk of cancer, detect cancer recurrence, and in prognosis. CRP is a biomarker of inflammation and indicator of the immune response to tumors. Its role as a predictor of survival has been shown in multiple myeloma, melanoma, lymphoma, ovarian, renal, pancreatic, and gastrointestinal tumors. Elevated levels of CRP and IL-6 predict the development of type 2 diabetes. This association supports a possible role for inflammation in diabetogenesis. CRP is a powerful independent predictor of diabetes, after adjustment for obesity, clinical risk factors, and fasting insulin levels. Minor increase in CRP level has also been reported to be associated with a number of medical conditions that do not appear to be associated with inflammation. Elevated CRP is also observed with several genetic polymorphisms of the CRP and other genes, ethnicity, dietary patterns and obesity. Creative Diagnostics provides high quality CRP antibodies and CRP elisa kits for CRP related research, these products have been tested and validated by our in-house team of scientists for sensitivity and reproducibility. « What is the mechanism of virus transmission through blood?